Paul Borders Jones was born on 14 April 1920 in Montgomery, AL. He was the son of William and Sue Borders Jones. 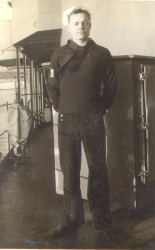 Paul served as a Signalman in the U.S. Navy from 1939 to 1946. 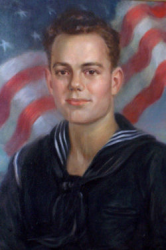 He was stationed at Pearl Harbor when it was attacked, but his ship was at sea on maneuvers. Serving on board the USS Maury (DD-401) a destroyer assigned to the USS Enterprise, he saw action in the Pacific, including the Battle of Midway, Guadalcanal and the Solomon Islands. He was discharged in February 1946 after the end of the war. He was very proud of his military service. 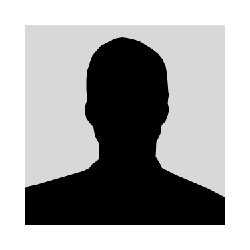 After the war, he went to work for the Southern Pacific Railroad where he was a Terminal Freight Agent for 32 years. After his retirement from Southern Pacific, he moved to Middletown, CA, and then to Cobb, CA, where he was active in several fraternal organizations, including the Shriners. Paul Borders Jones died on 4 June 1996. His body was cremated and his ashes scattered in San Francisco Bay, CA.